Australian homes have evolved over time but the ‘Great Australian Dream’ has remained the same. Since the 1920s, Australians have shared the belief that home ownership is a sign of success and contentment, with this belief a constant even as the home building industry has progressed. The most significant changes have occurred as a result of several different influences such as the economy, social movements and technology. Homebuilders are constantly looking for more efficient and economic construction. This ongoing search, alongside the aforementioned influences, has helped to shift and adapt the homebuilding space, particularly over the past 40 years to make it what it is today. In the 1980s, homes were built with cathedral ceilings and exposed rafters, while colonial bars were installed on windows and interiors generally included timber kitchens. Australian homes in the 1990s reflected the increasing population with the trend of large double storeys and separate living zones for parents and children more prevalent. At the turn of the century, smaller land lots were more prevalent and features were added to facades, such as render. It was during this period that large open plan living areas also grew in popularity, evolving into the current format that is almost a given in all modern home designs. More attention has also been paid to the materials used in recent years as it is now recognised that poorly designed and constructed homes will result in inefficient energy use contributing to environmental problems. Eco-friendly energy technologies and solutions have grown in popularity, particularly in recent years. This can be attributed to a growing social awareness of sustainability and the long-term economic benefits. Homes are now being built to include solar panels with hydronic heating almost always a certainty, replacing traditional fireplaces or gas heaters. Advancements in technology mean more intelligent design and construction solutions with designers and builders no longer limited to paper and pen, with new computer programmes simplifying the process of designing a home. This means designs can be presented to buyers, showing finished concepts before any bricks have been laid. Additionally, virtual reality technology means that clients may walk through their home before it is built, offering the opportunity to comprehensively assess the home’s design. This can highlight any functionality issues that may not have been apparent in the initial drawn plans. 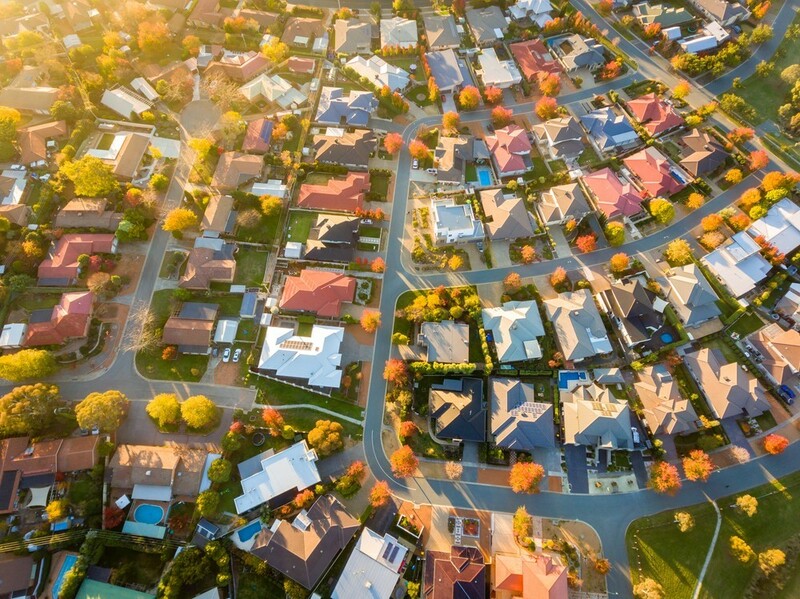 Over the years, the Australian government has responded to the changing economy, offering initiatives such as the First Home Owner Grant in the early 2000s, which ultimately lead to a spike in the market. Evident over the past four decades, the population growth and economic waxing and waning have seen the Australian housing market continue to adapt. From designs and layouts to technology advancements, it will be intriguing to see how homes will continue to evolve in the future.